Aurelio Salon and Spa in Toms River New Jersey has one of our hair salons near the corner of Route 9 and Lakewood Road. We offer a menu of choices that have a wide array of options to customers from local areas of Ocean County. Many of our customers from Brick, Jackson, Freehold and the surrounding areas were looking for hair salons that offered Goldwell and Paul Mitchell products as well as relaxing spa services. Toms River has been around since the Revolutionary War and used to be called Dover Township. The area was attacked by the British and delayed the peace talks that were supposed to take place in Paris back in the late 1700’s. The area has been settled in for a very long time. The township used to be much larger and included present day towns like Seaside Heights, Barnegat Township, Brick, Manchester Township, Berkeley Township, Island Heights, and Lavallette. When the Garden State Parkway was opened in the 1950’s what was left of the original Dover Township divided into eastern and western sections. Dover Township changed their name to Toms River Township in 2006 and the population has grown by roughly 30% since 1990. Toms River is one of the safest cities to live in the nation and is a pretty famous area nationwide. The Little League Baseball team Toms River East won the Little League world series 15 years ago. It has been on multiple TV shows including the Jersey Shore, Boardwalk Empire, and Amityville Horror the movie. 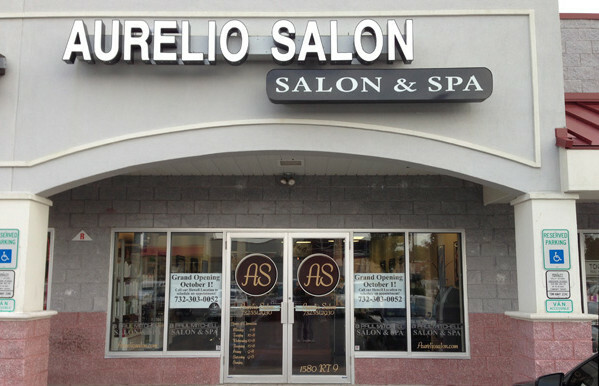 Aurelio Salon is proud to have one of their salons in such a unique area of New Jersey. Learn more about the menu of services we offer to our customers at our Ocean County NJ Hair Salon including information about what’s new at Aurelio Salon. You can read more about industry news and trends on our blog or find out more about us in our video and picture galleries. Gift cards are also available in any denominations. Visit us any time and receive a personal tour by one of our staff. Call Aurelio Salon in Toms River New Jersey at 732-551-2930 to learn what hair and beauty services we offer to our customers at our hair salons or to schedule an appointment today!